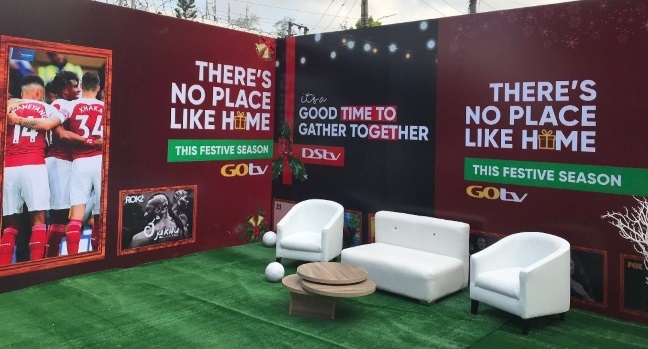 Popular Pay-TV operator in Nigeria MultiChoice on Wednesday, November 14th, has launched a special campaign offer to treat customers on its DStv and GOtv platforms to a memorable festive period. 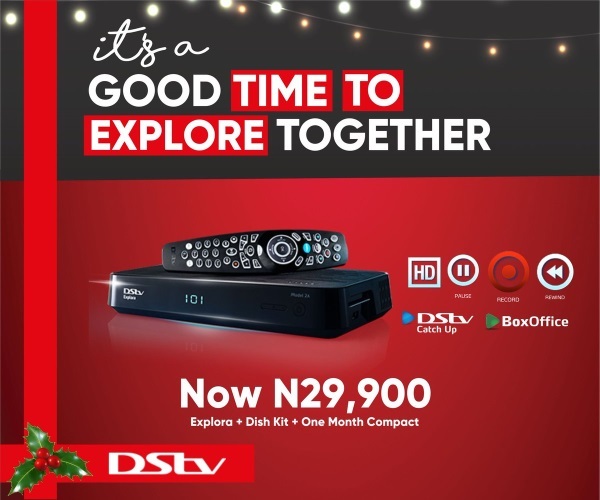 The campaign tagged #FestiveTogether will enable family and friends get together to celebrate the upcoming festive season with specially curated content on its DStv and GOtv platforms while also enjoying discounts on new purchases of the DStv Explora and HD decoders. “The festive season is a great time for family and friends to come together, and we are making those moments extra special with world-class content on our platforms”. He said the upcoming festive season would be marked by TV content the whole family would enjoy. We also have the much-loved special kiddies’ channel, Animania which will be a perfect companion for DStv kids this season. Football lovers will still enjoy the matches of the best football leagues in the world; Premier League, UEFA Champions League, La Liga and SerieA LIVE and in glorious HD on SuperSport channels,” he said. All new and existing customers can now purchase the Explora, dish kit with one-month Compact subscription for only N29,900, which was previously N52,100, while the HD decoder, dish kit with one-month Compact subscription will go for only N9,900 from a previous price of N11,900. On GOtv, customers can get GOtv Max package for only N3,200 and enjoy quality TV programming.